How To Save Any Webpage As PDF Using Google Chrome:- You might have faced great difficulties many a number of times when trying to save a web page in PDF format. Often you end up using some third party software or tool to get the job done. But these third party software and tools are mostly not reliable and they often give you performance issues. The hidden and unknown fact to many of the users is that they can save any web page in the PDF format without any third party software or tool. 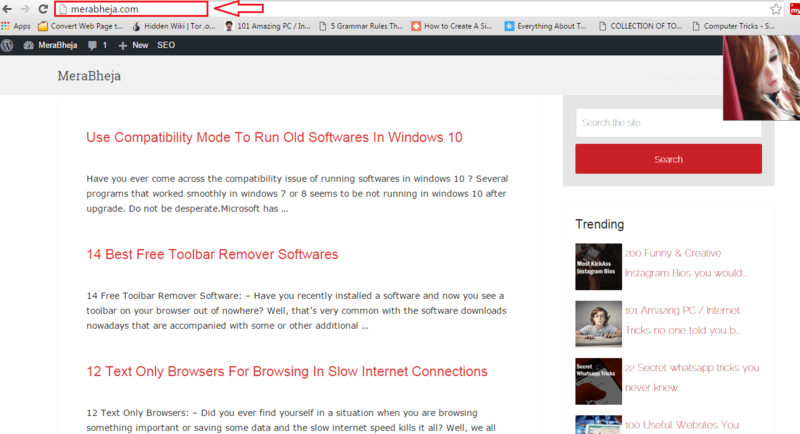 Google Chrome has this feature inbuilt to it. You just need to open the web page that you want to convert in Google Chrome. Rest of the steps is as easy as having a piece of cake. 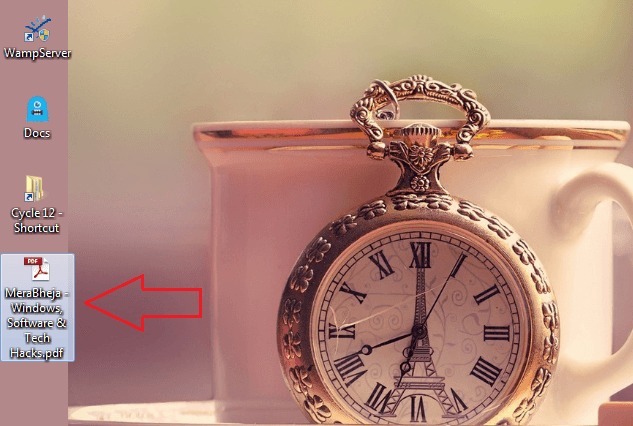 Read on, to learn how to hack this simple trick, which is proven to be quite handy at most of the times. 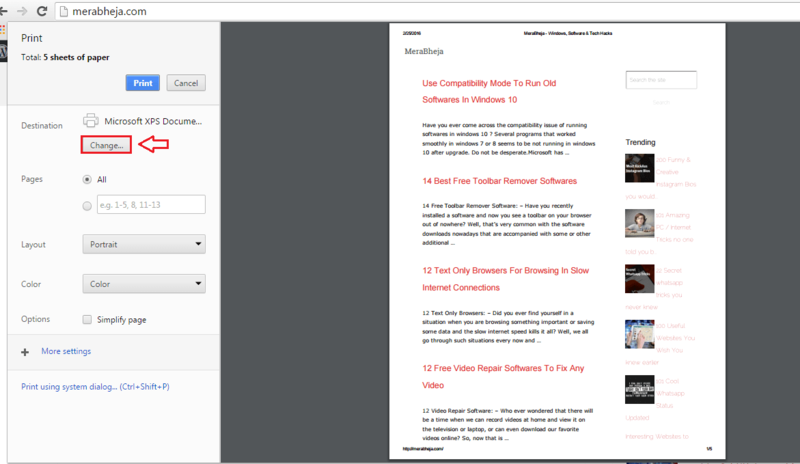 Open the webpage that you want to convert to PDF format in your Google Chrome. 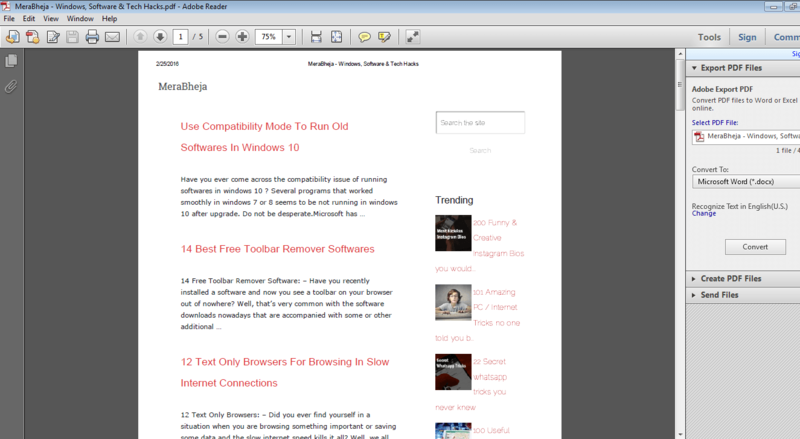 Now press CTRL+P keys together to open the window for Print preferences. Under the section named Destination, click on the button that’s named Change. In the right side of the window, you will be able to view the preview of the webpage that is about to be converted to PDF format. A small window named Select a destination opens up. 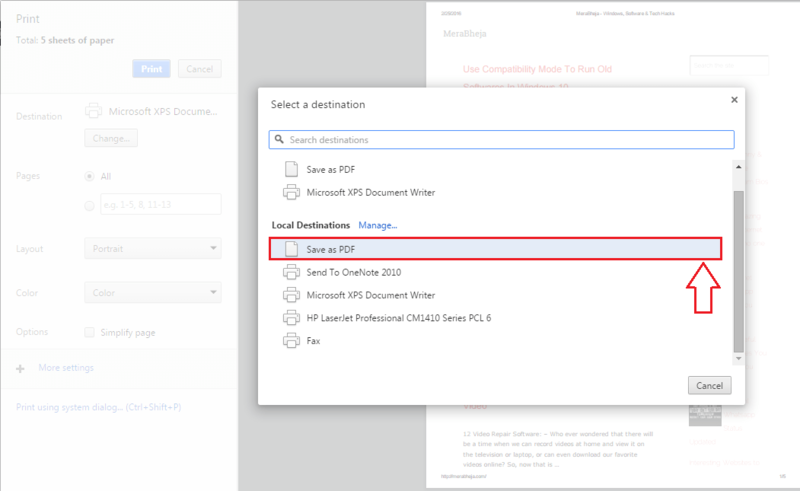 Under the section Local destinations, find and click on the option that says Save As PDF. Now under the section named Print, click on the Save button. Save as window opens up in no time. You can either go with the name that Windows has selected for your file or you can specify another name for your PDF file. Once you have chosen the saving location as well, you can hit the Save button as shown in the screenshot. Navigate to the location where you just saved your PDF file. 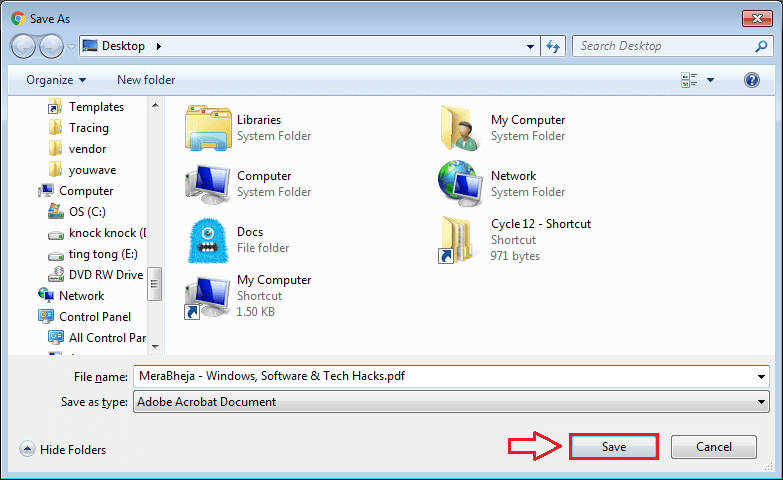 Locate the file and double click on it to open it with your default PDF reader. There it is! You have successfully converted the webpage to PDF format without the help of any third party software or tool. 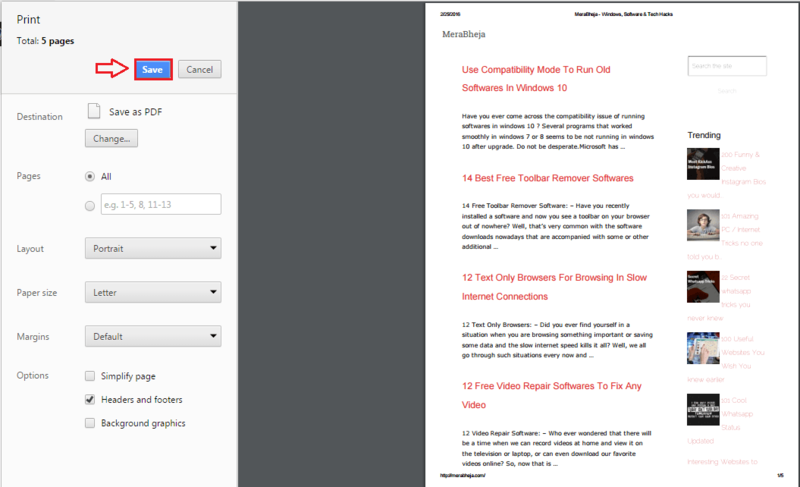 So that’s how easy you can convert a web page in HTML format to PDF format without the help of any additional software. Try out this trick today itself. Hope you found the article useful. Come back for more as there is always something new waiting.